If you want to know more or would like to be involved then please contact us. There are a huge variety of events celebrating the arts in Stevenage surrounding and during the festival that aren't part of the main programme. 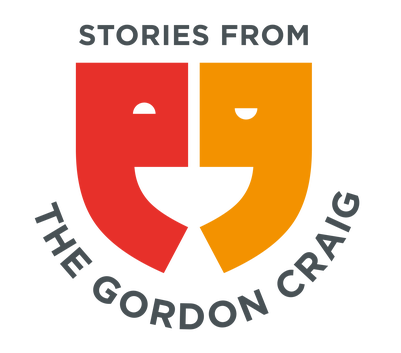 As well as the performances at the Gordon Craig Theatre, the festival also includes many smaller events in and around Stevenage which are detailed below. Click on links below to jump lower down the page for more details about the events. Stevenage is home to a wealth of artistic talent. This exhibition brings together stunning Photography from the Stevenage Photographic Society. All in all a visual treat well worth a visit when you are in the Town Centre. Please note that you should be able to visit the exhibition during the opening hours of Stevenage Arts and Leisure Centre. However for operational reasons access may sometimes be restricted and we recommend calling the centre on 01438 363200 to check if making a special journey. "Stories from the Gordon Craig"
Stevenage Museum and Stevenage Arts Guild present an exhibition of historic posters as part of The Stories from the Gordon Craig project funded by the Heritage Lottery Fund. Stevenage is home to a wealth of artistic talent. This exhibition brings together stunning Photography from the Stevenage Photographic Society and the Underwater Photography Society, art from the Stevenage Art Society plus beautiful arrangements from the Stevenage Floral Art Society. All in all a visual treat well worth a visit when you are in the Town Centre. 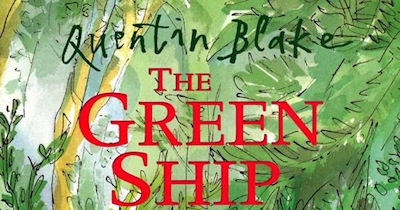 Directed by Alexander Lass, and adapted collaboratively through a devising process with the designer and acting company, this exciting new piece of writing is to be the first ever stage adaptation of “The Green Ship”, a beautifully illustrated children's story by Sir Quentin Blake, the first Children's Laureate. Tickets can be bought from the Stevenage Central Lbrary, by phone on Telephone 0300 1234049 or order online at Herts Library site www.hertfordshire.gov.uk/libraries or direct online from the Librarian Theatre here. This is a day for everyone! Have you ever thought about writing? Now is your chance. 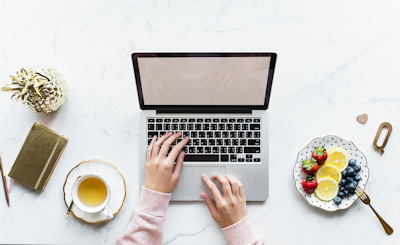 Find out how good for you writing is, and how easy it is to do. Discover the ‘tricks of the trade’ that make it all happen, and see just how inexpensive it can be to have a real book to pass around among your friends and family. Writing is one of the cheapest and most rewarding hobbies that there is, and extremely good for your psychological and physical well-being. For more detail on the arrangements for the day and tutors see the following pdf document. Tickets: £ 5 each for sessions 1 and 2 (£ 7 if you book both), No charge for Session 3. In the first instance please email your booking to stevenagewriters@gmail.com. Payment is either by cheque or Paypal payment, details for payment will be emailed to you in response to your booking email. Bookings are on a first come first served basis and payment must be made within one week of acceptance of your booking request. In event of difficulties please email Stevenagewriters@gmail.com. Springfield House: Between 12 and 4pm there will be Family activities, A barbecue, Exhibition of Old Town photographs and a Craft Fair. 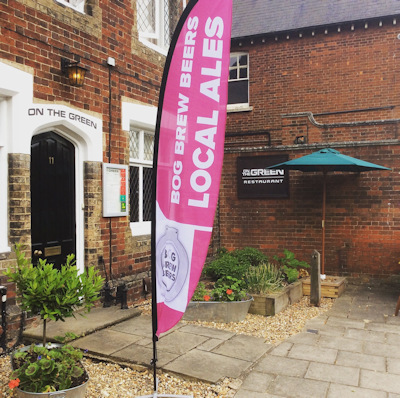 The Old Town High Street will be hosting a Beer festival from 2pm till Late. 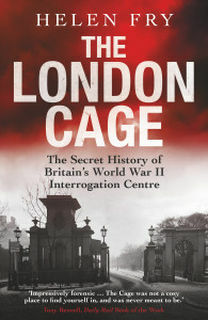 During WWII British intelligence bugged the conversations of German prisoners of war at three stately houses, including Trent Park in north London. Thousands of prisoners passed through the clandestine centre at Trent Park from 1939-1942, then from 1942 it was reserved for Hitler&apos;s captured Generals. In an astonishing turn of events, the Generals were housed in luxurious conditions and were lulled into a false sense of security. By the end of the war, there were 59 German generals in captivity with British intelligence. They relaxed and became unguarded in their conversations, and inadvertently gave away some of Hitler&apos;s most closely guarded secrets, including discussions about V1 (doodlebug) V2 and atomic bomb programme. For over 60 years the secret listeners (German Jewish émigrés who had fled Hitler) never spoke about their work, not even to their families. They died, little knowing that they, alongside Bletchley Park, shortened the war. 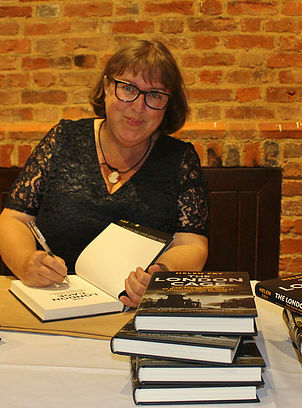 Having worked through the decflassified files, historian Helen Fry sheds light on one of the little known but greatest deception of WWII. 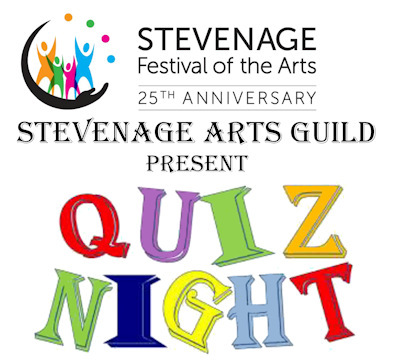 The Stevenage Festival is working with the Arts & Heritage Forum (which is supported by SBC) to put together a fun day for all the family to celebrate the launch of the council’s cultural strategy and also the 25th anniversary of the Stevenage Festival. Things will kick off in the Town Square at 11am with performances of music and dance and food stalls. At around noon there will be an invasion of drummers converging on the town square from all directions. They will meet up with other musicians in the square to perform a fusion piece for drums and steel pans. There will be an opportunity to join in with junk percussion created for the event. At around 1 pm there will be more music and dance on the performance stage in the square. An activity pack will be available for families to help them find out more about the New Town put together by students from North Herts College. 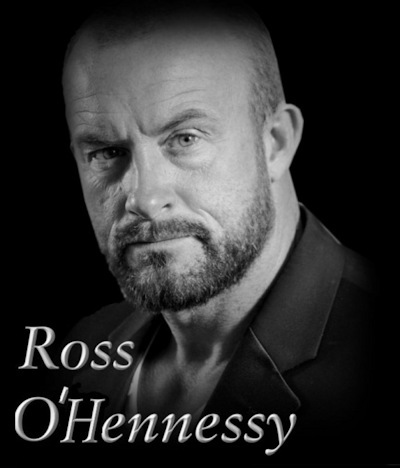 Actor Ross O'Hennessy is known for his many roles from "Game of Thrones" to "Backdraft 2". His masterclass is based around techniques and systems that he uses daily to win castings and film work today. He is passionate about finding new talent and helping inexperienced actors to learn the REAL business of getting to be successful in such a Competitive market. His masterclass will cover the very core of self taping, understanding how to &apos;underplay&apos; your performance and how to promote yourself as a product. The day will be challenging but will set you up for applying relevant techniques to a relevant market place. "Acting is not just about lines, it's about creating and environment that allows you to succeed.". Tickets: £ 37.27 - tickets bookable via Eventbrite. A Musical based on the songs of "Madness"
"Finding Will" is a play centred around the topic of Post Traumatic Stress Disorder and focuses on the life of a young soldier who joins the army in search of a better life for him and his fiance. He is posted to Iraq as a Platoon Commander but midway through his tour of duty, his Platoon is ambushed, resulting in multiple fatalities including that of his Sergeant and best friend who dies in his arms. Once evacuated back to England in order to begin his recovery, Will is confronted by Kate, a young nursing assistant, who teaches him that in order to fully move on, one must be willing to let go. The Mental Health and Well-being of men is particularly prominent in our current society; Finding Will is an original production with an aim of reiterating to our audience that it is okay not to be okay. 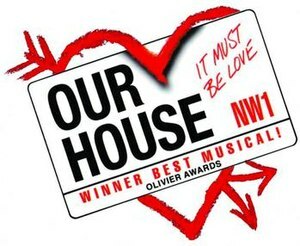 A portion of the ticket sales will go to Help For Heroes and there will be a Q&A after the performances. Tickets: £ 11 (plus booking fee) available from Ticketsource. This event is aimed at carers of people with Dementia. Connie is a retired domestic science teacher. Emily, her daughter, is enjoying hosting her first TV cookery show: Connie&apos;s Colander, bringing her mother&apos;s recipes onscreen and up to date. 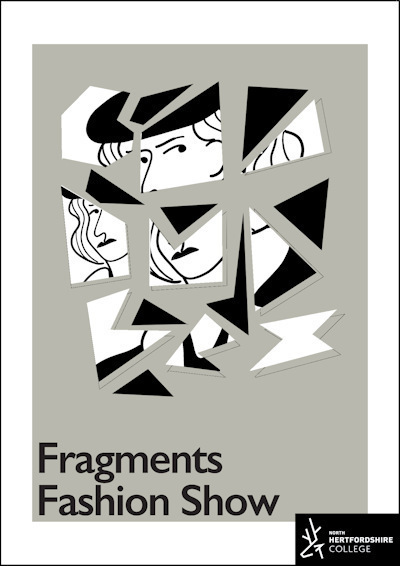 Sensitively, with humour and tenderness this newly written play traces the evolving relationship throughout their lives, and the impact of Connie&apos;s Alzheimer&apos;s. Can their relationship, and the TV show, survive? Followed by a 20 minute post-show Q&A with a dementia specialist. An informal atmosphere is created for the Q&A, facilitated by the two actors, with local dementia specialists able to signpost people to their local services. 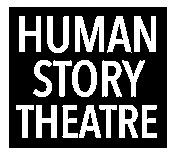 Building on the story within the play, the audience is also encouraged to share their own experiences, both to "offload" and also to help support fellow audience members, if appropriate. Tickets: Free Event - donations welcome. Contact Stevenage Central Library for tickets, via the web at www.hertfordshire.gov.uk/libraries, by phone on 0300 123 4000 or register online at Eventbrite (via link below). Tickets: £ 10 per person. As part of the Stevenage Festival, Jam Arts are offering a taster Fine Art Workshop at the Stevenage Arts Centre! 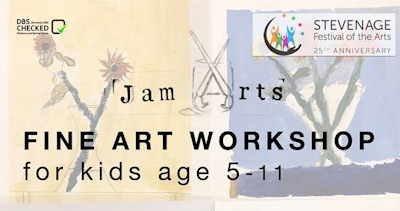 Jam Arts encourages children to express their ideas and discover the joys of creating. A wonderful opportunity for children to learn about traditional and contemporary artists, experiment with a range of materials and develop their art skills! There are a limited number of places available so do book quickly to avoid disappointment. 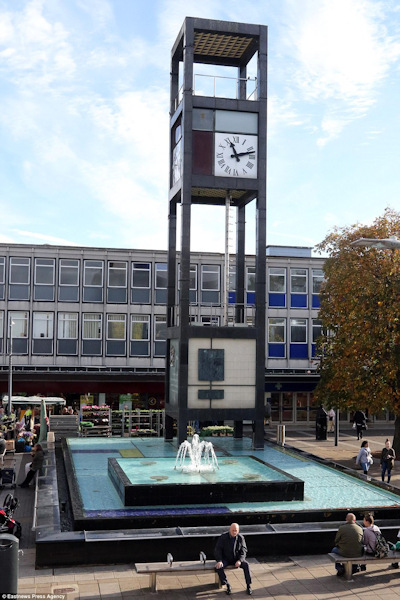 Stevenage Day is now in its 60th Year (hence a Diamond Anniversary), this popular event will host over 200 stalls with a wide range of entertainment including "Rock in the Park". The event is free and starts from noon. Free parking in the Town Centre. In this their 60th anniversary year Stevenage Male Voice Choir (formed in Nov 1958) will be singing at the Oval Community Centre in All Saints Church on Sunday 9th June in aid of SCIMP (Stevenage Churches Interdenominational Missionary Project). The concert will also involve a local singer guest soloist, Carol Nash, and a piano solo from their brilliant accompanist Ben Ward. The choir will be singing a selection of songs from their repertoire including classical, operatic and modern numbers as well as pieces from a variety of musicals. Tickets: £ 5 - Available via Cris Beal on 07598 103193 or via email to beal_cris@hotmail.co.uk. 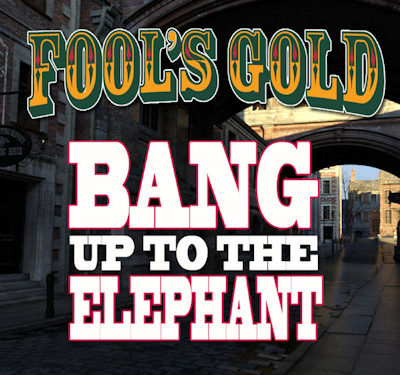 Fool&apos;s Gold - An acoustic music duo based in the north of England who are presenting a new concert show called "Bang up to the Elephant" which has a Victorian theme. It is great fun and contains all the usual bits and pieces - stories, visuals and plenty for the audience to join in with. The themes for the songs are all linked to Victorian times but some are unexpected. Theresa Rodrigues - "Gardens by the Bay"
Stevenage Floral Art Society invite you to join us for an evening of entertainment on stage with flower arranging displays made by Theresa Rodrigues. 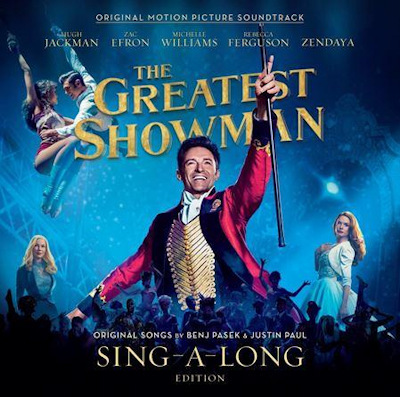 A showing of the sing-a-long version of "The Greatest Showman" in the comfortable Stevenage Music Centre Theatre. 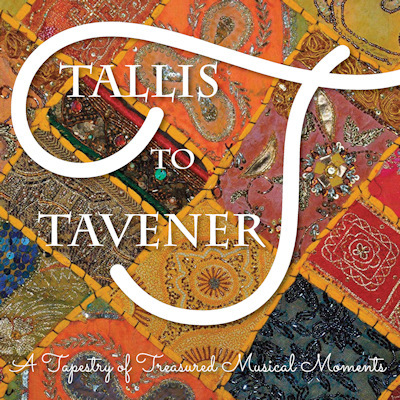 Come along, watch the film in comfort and sing a long with it! Book by clicking on above link. 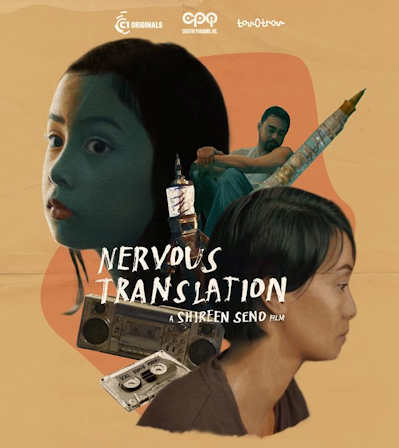 A Philippine film by Shireen Seno released in 2018 (PG rated) In Tagalog with English subtitles. Set in the Phillippines, Seno's film tells the 1980s-set story of Yael, a lonely child trying to understand the changing world and attitudes around her as her country rises from decades of dictatorship into the uncertainty of capitalism. Featuring a captivating performance from young actor Jana Agoncillo, Seno’s beautiful, daring and inventive film turns the coming-of-age genre on its head to create a unique child’s-eye view of a society in turmoil. NERVOUS TRANSLATION won the NETPAC award for best Asian film at International Film Festival Rotterdam 2018. There's nothing as exhilarating as a good dancing evening ..... and this should be a good one! 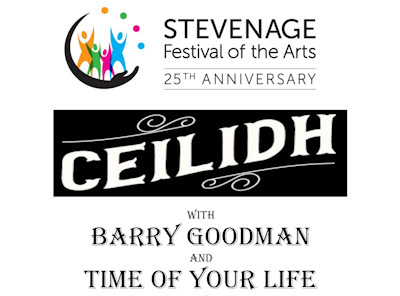 The local ceilidh band "Time of your Life" and their caller Barry Goodman will be leading all the fun. There will be a licensed bar through the evening. Online tickets available from Eventbrite. 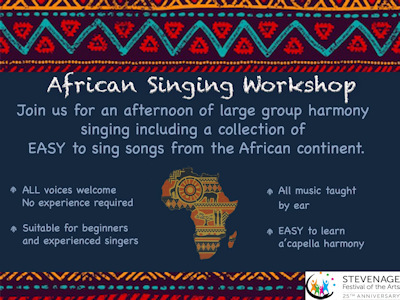 In conjunction with Herts Music Services there will be a concert of a wide range of World Music. 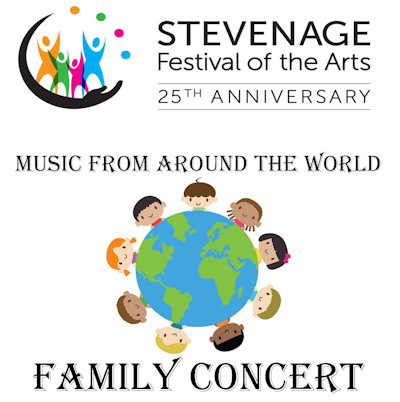 With musical contributions from the Stevenage Symphony Orchestra, a choir from Woolenwick School, and Indian dancers ... to name but a few of the artists appearing. If you would like to pass round a copy of the complete poster you can find it here. 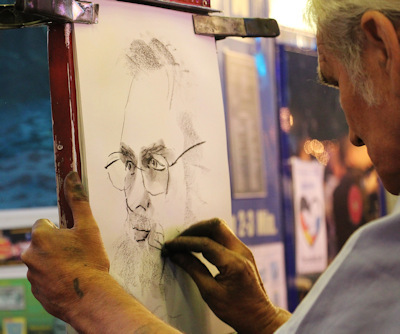 Come and join animator Bob Wright and take part in a life drawing taster session, giving you the opportunity to practice and learn some figure drawing techniques. This clothed model session is suitable for all and is ideal for a relaxing Sunday afternoon whilst presenting a stimulating artistic challenge. 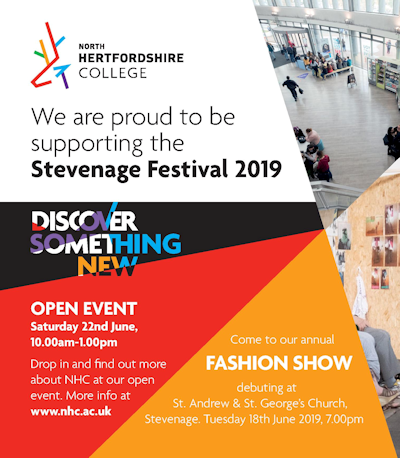 The North Hertfordshire College Level 3 fashion students will be exhibiting collections they have designed and produced this year. These include skirts inspired by a visit to the National Army Museum and costumes produced for the Royal Opera House Design Challenge, based on the Romeo and Juliet ballet. Come along to see them showcase these fabulous garments on the catwalk and enjoy a lively evening including music and refreshments all completely free. Shirley Perkins has a wealth of experience as a floral demonstator and often entertains flower clubs in the South East. Always a great hit with our members and guests with flower arranging and tales of her travels and experiences in the "floral world". Come along and join us. All flower arrangements raffled off at the end of the evening. There's so much going on at North Hertfordshire College, come along to our open event and get a real feel for the NHC experience. 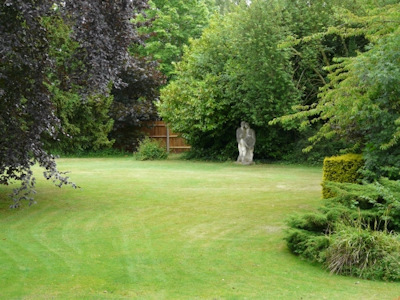 The best way to explore what we have to offer is to come and see us in person. Tour our facilities, meet our staff, get a taste of student life and, ask those all important questions. This exhibition is a personal celebration of space technology, its contribution to environmental science and also the beauty in evolution and design. 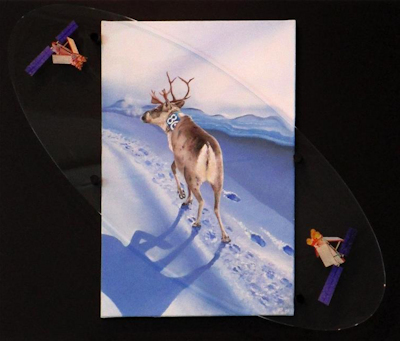 This project is the inspiration of Rolf Williams, artist, science communicator and science teacher. It is aimed at families, nature enthusiasts, and pupils (Key Stage 2 upwards), college and university students, families and adults interested in the arts, environmental and space science. Come along and meet Rolf who will be talking about the project during the morning. The Space For Nature exhibition was launched at the Royal Geographical Society in their Pavilion Gallery on Exhibition Road, London in May of 2018. The location was ideal for connecting with its first public audience - the hosts (RGS) share the ethos of the exhibition. It shows the uses of telemetry over satellites to track and follow populations of animals in various parts of the world, both sea creatures and land animals and the use of such information in wildlife conservation. Come along and have a look and chat with Rolf. Talent Reel will be hosting an evening of entertainment on 22nd June. The night entails showcases, music and networking and will be full of good vibes and creativity. It is a community project aimed at bringing people together and spreading positivity and happiness through talent - song, music, spoken word etc. It will be intimate and welcoming and there will be an open space for sharing your talent with us all if you want, or just come along and be entertained. Have a song to share? Or maybe you have a new poem you are dying to get feedback on or even a dance routine you wish to showcase? All talents are welcome. There will be an area/stage dedicated to letting you shine, along with mic&apos;s and a controller for any budding DJs who would like to spin a few good and positive tracks to keep the crowd entertained and when there isn't someone doing a set or performing then background music will be playing to keep up the happy vibes. Don't worry, be happy is the theme so all attendees are left to do is sit back, relax and enjoy the night. By the way, I forgot to mention - it is a bring your own type of affair (alcohol, soft drinks etc) so there is no excuse not to come down and entertain or be entertained. If you would like to perform on the night please contact - nadia@talentreel.co.uk. There are limited tickets available so don't delay and book yours now! The MNA - "Never Again"
Final years of British Rail Steam through the eyes of the famous "Master Neverers Association" . We continue our 60th Anniversary celebrations by travelling back 50 years to relive the last days of British Railways steam through the images of the members of the (in)famous MNA, a group of talented Midland railway photographers who travelled the country by "various means" to attempt to capture "Master shots" of steam in action. We hope to have a couple of surviving MNA guest at the show, who hopefully will relate some of the stories behind the photos. The highly acclaimed MNA&apos;s four volume book "Never Again" Sold out within a couple of days of its release just before Christmas. In addition, we also hope to have copies of Colin Gifford&apos; much anticipated new book "Transition" available on sale, which superbly conveys the 1960&apos;s atmosphere of this changing era from BR&apos;s steam to modern diesel and electrics motive power, captured in typical "Gifford-esq" Black & White style. The evening should be a must for railway enthusiasts, Photographers and anyone interested in the social history of 1960&apos;s Britain. Tickets: Visitors £2 - payable on the door (Locomotive Society and Arts Guild members free). The Enchanted Jewel Box - a performance featuring all pupils from 3 to adult, showcasing all LJ Dance disciplines of ballet, tap, modern, street dance and contemporary jazz. Two performances - one at 2pm and the other at 6pm. Stevenage Choral Society presents an afternoon of music through the ages from Baroque to the modern day, a trip through 500 years of Musical treasures. This will be a VERY wide program covering not only classical choral pieces but modern pop pieces as well. Should be a great afternoon of easy listening music. E-Tickets available now from WeGotTickets.com (with an additional booking fee). Paper tickets will be available later - see Choir "Contacts" page for ordering by phone or email. For information about other events that are taking place during Stevenage Festival please visit our page of Festival Events.